Most of us grew up not thinking for a minute about herbal remedies. We got sick, we saw a doctor. That's all there was to it! Myself included by the way (oh, how times have changed!). But if you were living in another part of the world other than North America such as Asia, South America, or many parts of Europe, you'd have a different story. Herbs would almost certainly be a part of your life. 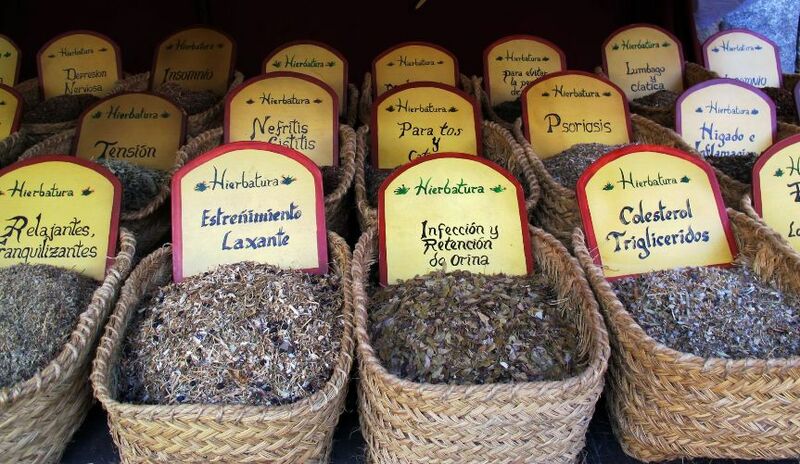 In fact, according to WHO, the World Health Organization, 75% of the worlds populations use herbal remedies. That's a pretty substantial number. More people are starting to understand that herbs can support a better quality health and life. Herbs have been used safely and effectively for thousands of years. Of course, if you listened to some people you might think herbs were the enemy! However, that point of view usually comes from someone who either doesn't understand herbs or who has a vested interest in you not using herbs. My own story as well as the testimonies I hear from clients and friends who began using herbs tell the real story: If you are going to build your health or stay healthy, herbs can be a very valuable part of the equation. And once you know a bit more about how herbs work, it's hard not to include them in your life in some way. Whether it's for pain and inflammation, prostate, fighting a cold or a flu, more energy, PMS, digestion, or any one of a number of other common ailments, there's probably an herb or herbs that can help you. Or if you just want an edge in maintaining your health such as with the tonic, cleansing, or support herbs, there's almost certainly an herb or combination of herbs that can help. So with that in mind, I wanted to give you four very good reasons why you should consider using herbal remedies to support your health and longevity. I can't tell you how many times I have heard 'I don't know what to do!" So many people are frustrated and exasperated by what they see as a lack of options. But it's not so much the lack of options. It's that they simply don't know what the options are! We can help with that. Herbs can open the door to a huge storehouse of opportunity for improving or restoring health and wellness. You just have to look. You either buy cold medication A or cold medication B. And they all do about the same thing with none of them actually really helping to restore your health. While OTC cold medications may reduce some symptoms, you may actually feel worse! You may end up feeling drowsy, light headed, irritable or jittery, trouble sleeping, dry mouth, nose or throat or headaches. And while symptom relief would be nice if it actually happened the way we wanted, we can't forget what symptoms actually are, and that is your body's defense mechanisms fighting the virus. For more on what cold symptoms actually are, go here. Over the last century, there have been thousands of studies on the effectiveness of herbs. Anyone who says differently hasn't looked at the evidence. While herbs do have medicinal properties, they don't work like pharmaceutical medicines, nor would you want them to. Also, consider this: if herbs weren't effective wouldn't you think that at some point in the last three to five thousand years of common use by millions of people in other cultures throughout the world that they would simply stop being used? Herbs are virtually free of side effects. Herbs in general are free of side effects. That's because of the complex and natural chemical structure of plants. Instead of side effects, though, most ALL herbs have multiple side benefits. And it's due to that very same complex chemical structure. Herbs have hundreds of chemical components. And while each herb may have several compounds that are considered more active than others, they are ALL active and contribute to the whole. It's called 'synergy' where the whole is greater than the sum of the parts. All the parts work together in this beautiful poetic harmony. You fractionate or isolate them to your disadvantage. I will also say this: If any herb had even a fraction of the side effects of pharmaceutical medicines they would be pulled from the marketplace instantly. Thousands of years of use can attest to their safety record. While herbs are not medicines as we know them in America, as I mentioned earlier, herbs do have medicinal properties that may or may not be appropriate for you. So if you are already taking medication or have a medical condition, it is wise to check with your doctor before using herbs. But if you don't like the state of your health or where it's headed, and want better, consider herbs as one very important way to help you get it.